Malik had said that he would have installed former separatist Sajad Lone’s government had he consulted New Delhi before dissolving the J-K Assembly. 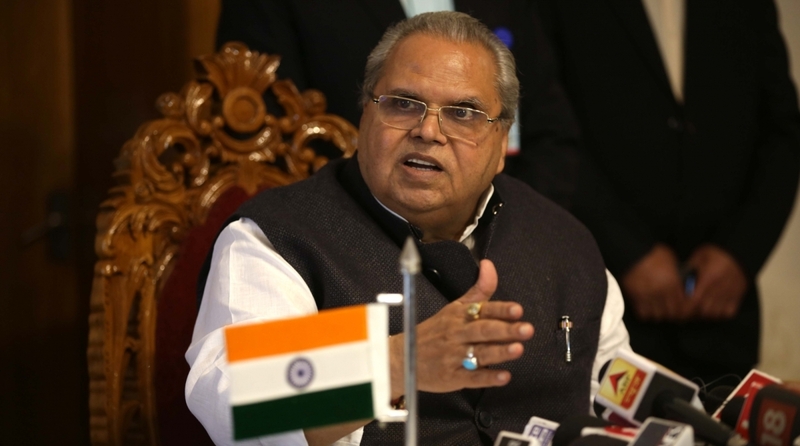 Jammu and Kashmir Governor Satya Pal Malik hinted on Wednesday he might be shifted out of Jammu and Kashmir following his remarks that New Delhi wanted to see Peoples Conference leader Sajad Lone as Chief Minister. Speaking at a function marking the death anniversary of senior Congress leader Girdhari Lal Dogra in Jammu, Malik said: “As long as I am here, I’m here. It is not in my hands. But the threat of transfer is there. On Tuesday, Malik stated that he would have been left with no alternative but to install former separatist Sajad Lone’s government with the support of BJP had he consulted New Delhi before dissolving the Jammu and Kashmir Assembly. Malik made these remarks during a TV interview and repeated it while addressing students at a function in Gwalior (Madhya Pradesh). “I want to make it clear once again. If I had looked at Delhi, I would have had to make a government of Lone; I would have been known in the history as a dishonest man,” the Governor was reported as saying. Following his remarks, Raj Bhawan had issued a statement saying the Governor took an objective and impartial decision while dissolving the state Assembly. “There was no pressure or any kind of intervention from the Centre in the entire matter and some news channels are misinterpreting the Governor’s statement and putting things out of context to convey that there was pressure from the central government,” the statement said. My compliments to Governor Malik for not looking to Delhi & for not taking their instructions thereby stopping the installation of a government of the BJP & it’s proxies formed by horse trading, defections & use of money. In another tweet, he said; “I really don’t know what to make of Governor Sb revelations in Gwalior. We know the BJP & it’s proxies were desperate to form a government through horse trading & use of money but we’ve also never known a politically appointed governor going against the wishes of the centre”.